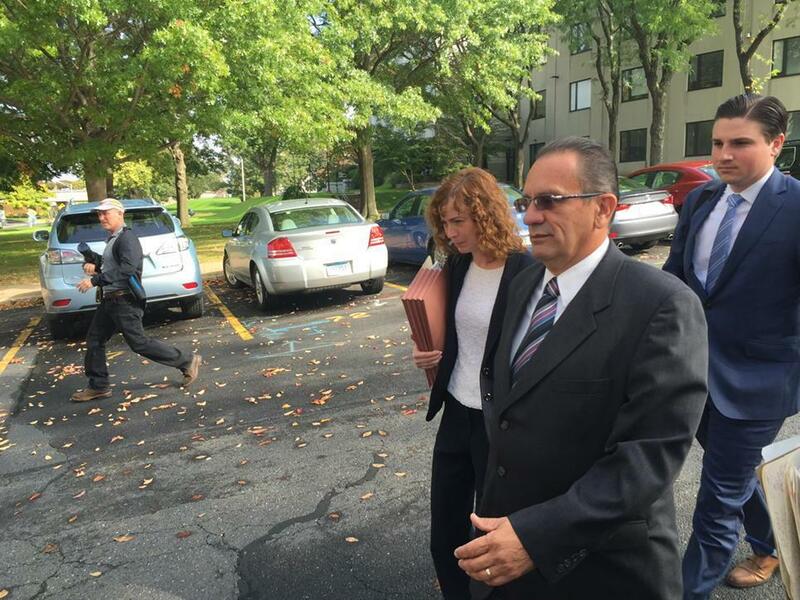 Perez’s former chief of staff said the trial was “tainted” before testimony began. Six years after he was convicted on charges that he took a bribe in one scheme and tried to extort a city developer in another, former Hartford Mayor Eddie Perez has gotten a reprieve from the state’s highest court. In a ruling released Thursday morning, the Connecticut Supreme Court agreed with an appellate court ruling ordering two new trials for Perez, saying the trial court decision to combine the two cases against him was unfair. In its majority decision, four justices of the court agreed that the decision by trial court Judge Julia Dewey to combine the two cases into one resulted in “serious prejudice” to Perez. “[T]he defendant had a strong interest in testifying in the bribery case on the points that he identified, so as to refute the state’s case that he had received free home renovations in exchange for his official acts,” wrote Justice Richard Palmer. “Weighing the defendant’s need to testify in one case and his need to refrain from testifying in the other against considerations of judicial economy, we conclude that the trial court’s denial of the defendant’s first motion to sever was an abuse of discretion because joinder of the cases, at that point in time, caused the defendant substantial prejudice,” the decision said. The opinion affirms the decision of the appellate court, which ordered two new trials for the former mayor. Immediate efforts to reach Hubert Santos, Perez’s attorney, were unsuccessful. But top prosecutor Kevin Kane said in a statement that he is prepared to go back to court. “It is the State’s intention to retry these matters in accordance with the Supreme Court decision,” Kane said. Matt Hennessy, Perez’s former chief of staff, said the court made the right decision – and that the trial was “tainted” before testimony began. “This case pursued by the state has taken a tremendous toll on the Hartford community and Eddie Perez and his family,” Hennessy said in a statement. “After nine years of investigations and trials, it is time for the Chief State's Attorney's Office to pause and decide if the interest of [j]ustice and the public good is served by pursuing this case any further. " Calixto Torres served as president of the city council when Perez was mayor. He said he is periodically in touch with his former political ally. "He's a very religious guy and he has a lot of faith," Torres said. "He, I know, really wants to put all of this behind him. It's taken a toll, you know, on him emotionally and, obviously...[on] his family." Eddie Perez leaving the Connecticut Supreme Court last year. The case goes back more than nine years, when a developer first alleged that Perez tried to get him to pay off a city political boss in order to get his deal done. That got the interest of state investigators, who then uncovered a second thread: Perez had allegedly taken deeply discounted home improvements from a city contractor. In exchange, when that contractor was failing on a city job, Perez was alleged to have intervened on his behalf. Eventually, the state formed a grand jury to investigate the case -- and in January 2009, Perez was arrested. He was convicted in both schemes in June of 2010, and he resigned soon after. Perez was sentenced to three years in prison. He then appealed his conviction. Perez didn’t testify in his own defense. But he did say before his arrest that he denied the allegations of extortion. As to the home improvements, Perez said he always intended to pay the full price for the work, though he lied to investigators when they asked him about it in his office at city hall. He told them he had paid for the work, when he hadn’t. In 2013, the state’s appellate court gave Perez good news. It ruled that while there was enough evidence to convict Perez, the decision by the trial court to combine the two cases into one trial was a bad one. The court said joining the cases made it impossible for Perez to get a fair trial. But state prosecutors appealed that decision. And last year, Perez’s attorney, Hubert Santos, argued before the Connecticut Supreme Court that a lie his client told in one case unfairly prejudiced him in the other. Santos’s point was clear: There were two cases against the former mayor. One was about bribery, and the other was about extortion -- and the court shouldn’t have combined them into one trial. "What a jury had to say: well, is he telling the truth on case number one, when he said he lied, or is he telling the truth on case number two?" Santos said. 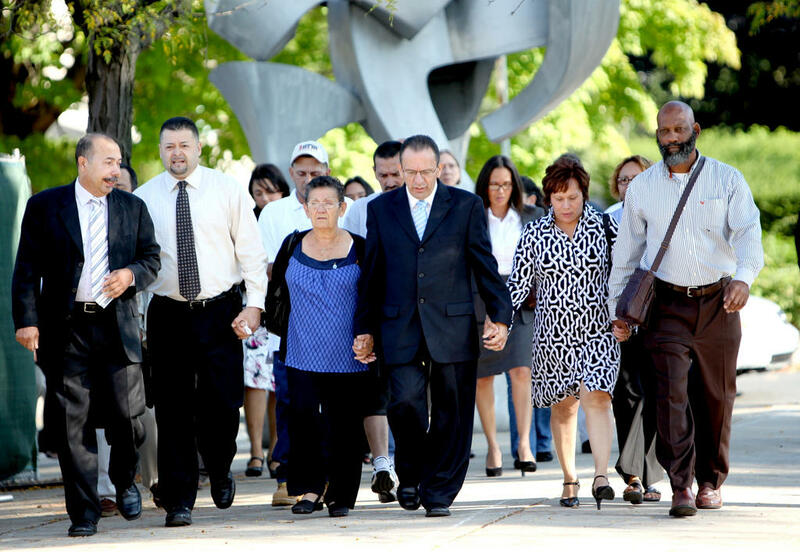 "Each of them fed into each other to result in the jury concluding that Eddie Perez was a liar. And...no jury instruction was going to cure that...Juries are responsible. But once they got a picture of the mayor as a liar, that was the end of the trial." Lawyers for the state disagreed, saying the lie didn’t convict Perez. The evidence did. Steven Seligman is an attorney familiar with Perez's case. He said that, while Kane wants to retry the cases, that may not actually happen. "The state will have the obligation to try them separately if the matters go to trial," Seligman said. "It may well be the case that, after years of litigation, under the circumstances presented by where the cases are today, that there will be some plea resolution or a plea bargain." That's something that, according to the Hartford Courant, has already failed at least once. But things are different now, Seligman said. The cases are old. Perez hasn't been mayor in six years. Two men have served as mayor since he left. At least one witness is dead. And while the state may feel confident that, if it won once it could win again, Perez may feel confident that, given two fair trials, he'd be acquitted. The question, Seligman said, is whether either side wants to risk losing. "Both sides have talking points but the only thing that really counts is whether someone wants to run the risk of a conviction -- Mr. Perez knows he was sentenced to three years in prison by Judge [Julia] Dewey -- or whether the state wants to run the risk of a complete acquittal." Speaking of Judge Dewey, it's her decision at trial that is at the center of this dispute. And attorney Dan Klau said he can't imagine that she, or any other trial court judge, is particularly happy with the ruling. Klau says the supreme court should have given the trial court more deference. "The trial judges in the state of Connecticut, particularly the judges who sit on the criminal docket, are going to be very unhappy with this decision," Klau said. "I think a lot of criminal trial judges are going to say, 'Here we go again. The supreme court, from its ivory tower, is taking pot shots at us judges down in the trenches.'" Meanwhile, Klau saw Kane's statement as a sign for Perez from the state's top prosecutor. "He's signaling Eddie Perez: Don't think that just because a number of years have gone by, we've lost interest in this case," Klau said. "It's full steam ahead." State prosecutors have filed a brief to the Connecticut's highest court, asking it to affirm a trial court's convictions of former Hartford Mayor Eddie Perez. Former Hartford Mayor Eddie Perez will have his corruption case heard by the state’s highest court Tuesday, as he continues to fight his 2010 convictions on bribery and extortion-related charges.